According to the annual nuclear forces data released today (June 13) by the Stockholm International Peace Research Institute (SIPRI), “at the start of 2016 nine states — the United States, Russia, the United Kingdom, France, China, India, Pakistan, Israel and North Korea — possessed approximately 4,120 operationally deployed nuclear weapons. “If all nuclear warheads are counted, these states together possessed a total of approximately 15,395 nuclear weapons compared with 15,850 in early 2015,” the Institute says on a press release. 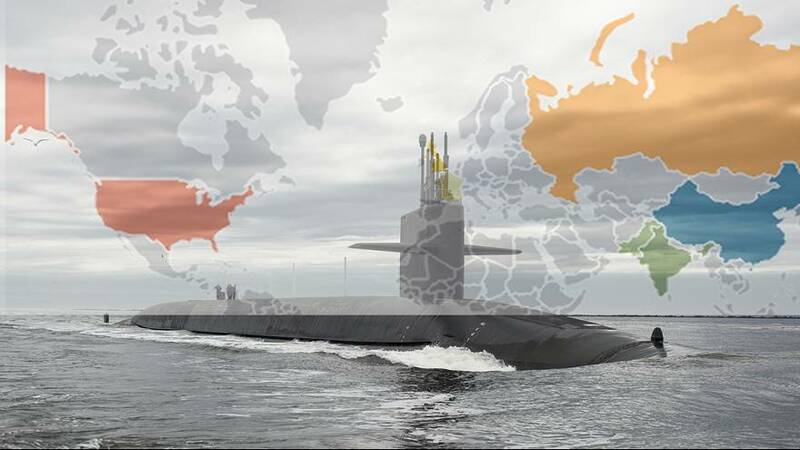 But the reduction remains slow and both “super powers” which own 93 percent of the worlds nuclear weapons, are engaged in multi – billion “modernization plans” that looks pretty much as an arms race. So the Nobel Prize president that seven years ago pledged for a nuclear free world has recently pledged for a 1 trillion dollar nuclear weapon modernisation program. While it is true that the US nuclear program seems to need some serious tech refresh the announcement seems incoherent with US President Barack Obama’s emotional historic speech in the Japanese city of Hiroshima a few weeks ago. And opposers say that far from updating outdated floppy disk technologies the modernization programme also nicknamed Trillion Dollar Trainwreck seeks to develop more sophisticated weapons. “The ambitious US modernization plan presented by the Obama Administration is in stark contrast to President Barack Obama’s pledge to reduce the number of nuclear weapons and the role they play in US national security strategy, said Hans Kristensen*, co-author to the SIPRI Yearbook. “The budget enables the department to take a strong, balanced approach to respond to Russia’s aggression in Eastern Europe. We are countering Russia’s aggressive policies through investments in a broad range of capabilities. The FY2017 budget request will allow us to modify and expand air defense systems, develop new unmanned systems, design a new long-range bomber and a new long-range stand-off cruise missile, and modernize our nuclear arsenal. Asked by Euronews, Shannon Kile, Head of the SIPRI Nuclear Weapons Project concludes: “I would not say that the world is becoming less safe but rather that nuclear weapon-related risks and dangers continue to exist more than a quarter-century after the end of the Cold War. The report highlights that nuclear weapons continue to play central roles in the national security strategies of the nine states known or believed to possess them. “Nuclear weapons are uniquely dangerous because they are uniquely destructive. Unfortunately, based on the data presented in the report, the prospects for marginalising and eventually eliminating them remain gloomy.